Baidu Security's "DEF CON China HELLO, WORLD!" invited 200 people from tech companies, like Tencent, Alibaba and Huawei, to Las Vegas, US, on August 10. At the conference they reviewed how Chinese security geeks had fought for DEF CON and fared on the global stage. DEF CON, founded by Jeff Moss in 1993, is the top international conference among the security industry. The conference attracts 25,000 people every year and security experts from all over the world come together to exchange ideas and share the latest security trends with each other. 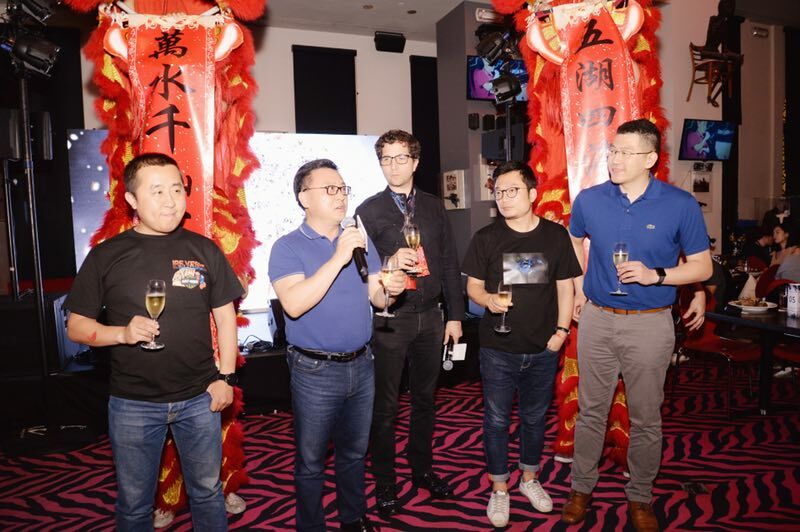 Baidu Security brought DEF CON to China in May 2018. This was also the first time DEF CON has traveled abroad. Zhang Yaqin, the president of Baidu, saluted the backstage heroes of DEF CON. He said DEF CON CHINA would cultivate the Chinese geek spirit. "This will help Chinese geeks to step into important roles and contribute to the global security ecosystem," said Zhang. That night at the party, Jeff Moss introduced DEF CON CHINA and its innovations through forms and content based on DEF CON to the attendees in Las Vegas. Jeff Moss said that Baidu is a good partner who always makes the impossible possible. Baidu can help DEF CON go to the next level. The vision of building a strong Chinese community makes sense. "Internet problems are global problems. We can't solve them only by one nation. We have to go out and make friends," said Jeff Moss. The impact of DEF CON's first visit to China on Chinese geeks is far beyond what was expected. Many international geeks were also interested in joining "DEF CON China HELLO, WORLD!". The participants were fascinated with "the geek spirit". During the party, DEF CON was formally announced to be going to China. "HELLO, WORLD!" is not only used as a sanity test to make sure that a computer language is correctly installed, but also, according to Baidu Security general manager Ma Jie, "HELLO, WORLD!" is how geeks interact with the world. "I feel grateful for the support of the security community. Welcome to DEF CON CHINA 1.0," said Ma. At the "DEF CON China HELLO, WORLD!" party, Baidu prepared traditional performances, such as Chinese kungfu, and Chinese dragon and lion dances, with 3D holographic projections, which allowed culture and tech to mix. DEF CON has become the symbol of the geek spirit, especially with China's 5,000-years of history where sages pursued the ultimate perfection of human wisdom influencing the modern geek spirit. While advocating the spirit of geeks, Baidu Security has also enabled global geeks to become more aware of China and expand the cognitive boundaries of the geek spirit. Zhang Yaqin believes that more talks between China and the US will accelerate the development of global security.